Medigeshi is a historical place having a well built rocky fort on top of the hill, and has seen many battles during its peak of your success, Its named after local tribal chief of yore, Nagga Reddi, because his wife’s hair touched her ankles (Medi – ankle, Kesha – hair). Most of the fort walls remain even today, though its ruins. 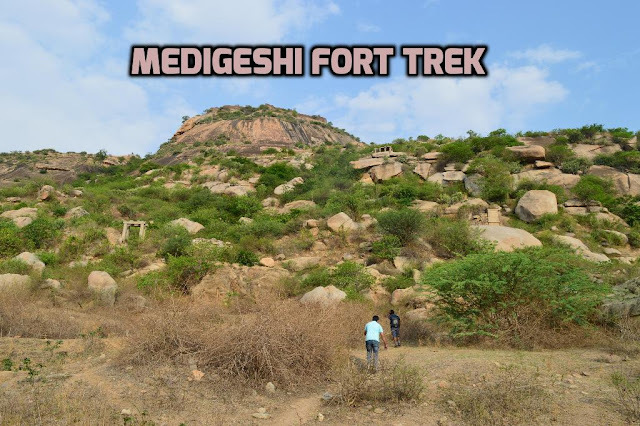 Medigeshi is a part of Madhugiri Taluk, in Tumkur District. This trek could be done along with Madhugiri trek in a separate day. There are 4 stages marked in trek as there the 4 wall entries. 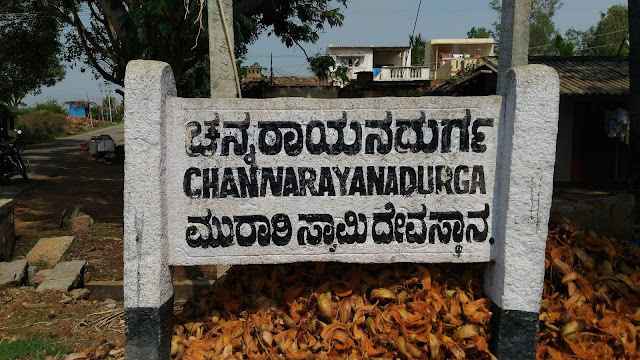 Channarayana Durga is a fortress close Madhugiri around 100km from Bengaluru. 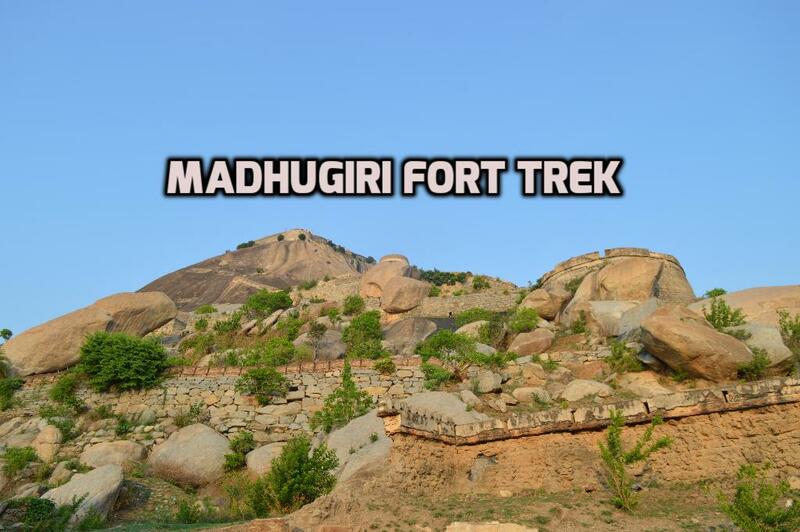 Fort is constructed by local king(Paalegaara) Chikkappa Gowda, who was ruling the Madhugiri and surrounding places. it later fell under the control of Marathas. Be that as it may, in consequent years control of the post changed a few times amongst Marathas and Mysore Wodeyers. The British assumed control over the stronghold amid third Mysore war and after that relinquished it. Things to Carry: Water, Snacks available at the village shop. 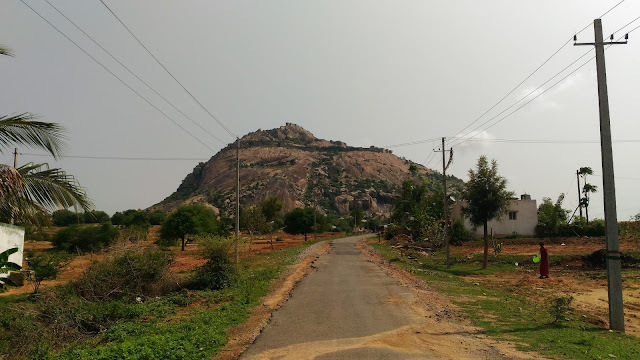 Madhugiri is a single stone hill. It is the second biggest Monolith in Asia. Settled on its precarious slants is a stronghold. Antaralada Bagilu, Diddibagilu, and Mysuru Gate are the three entryways of the fortification. A progression of entryways prompts the slope. The demolished temple of Gopalakrishna is situated at the top of hill. The construction of the first mudfort was attempted by Raja Hira Gowda in the seventeenth century around 1670 AD. An intriguing episode provoked the Gowda family to considering building a fortification. A stray sheep disappeared around the Madhugiri hillock just to return late in the night trickling with water. This was music to the ears since a spring would be welcome sign for rain lacking range. A choice to build a stronghold was arrived and the assignment was finished. 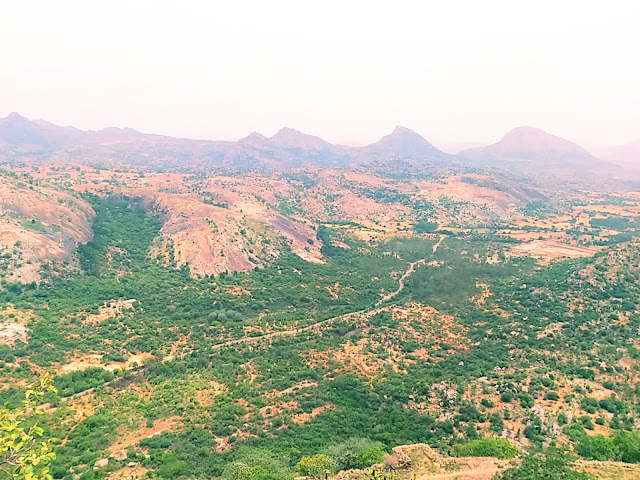 The Gowdas began administering this district based at Madhugiri Fort. The name Madhugiri is gotten from the Honeybee states which were predominant in those days towards the northern parts of the Madhugiri fortification. There are two expansive sanctuaries situated in Madhugiri one is Venkatramana and other is Malleswara. 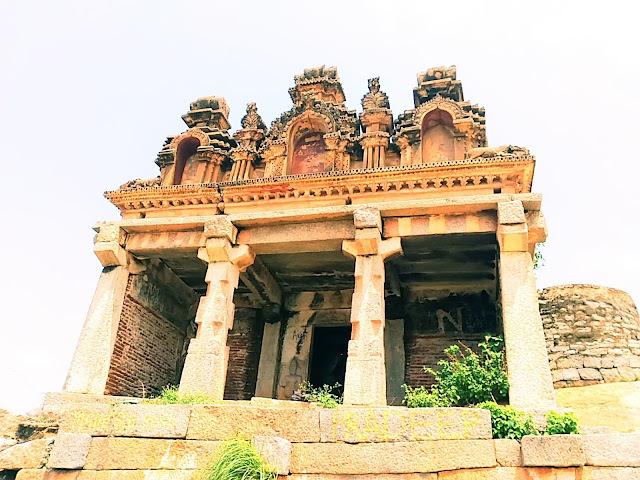 There is likewise a Jaina sanctuary on the regions of the Madhugiri fortification. Lodges: Annapoorna And Bhaghyalaxmi. Annapoorna is pretty new and good. Bhaghyalaxmi is also decent stay. Both lodges charges Rs 500 for double rooms. Madhugiri, or otherwise called Maddagiri, is situated around 43 km north of Tumkuru town, and 107 km north-west of Bengaluru city. The stone monument and the encompassing greenery of Madhugiri are the fundamental attractions. The place has old sanctuaries of Venkataramanaswami and Malleshwara worked by the Vijayanagara feudatories in the Dravidian style. One can easily come by direct bus from bangalore and reach madhugiri on a weekend and can stay near by hotel as mentioned above. There is a black buck reserve and Goravanhalli Mahalaxmi temple and many nearby attractions. Hikkal is a small village near dabaspete, Hikkal Betta or Kurmagiri is small hillock in Tumkur district. Kurma means Turtle or tortoise in Sanskrit and Giri means hill. Venkataramana swamy is the worshipped god in the temple, The Hill is in the form of tortoise hence the name Kurmagiri. 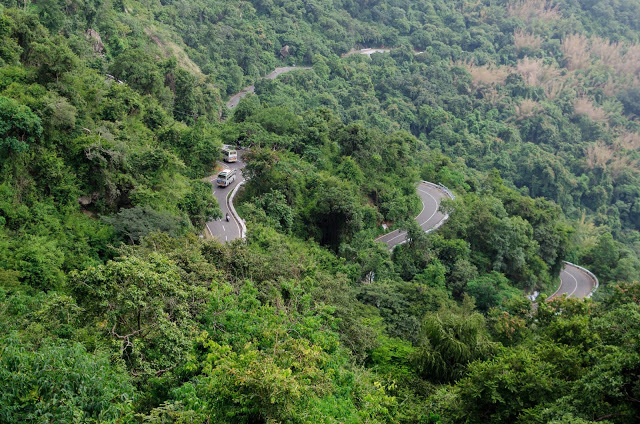 Few curvey road would make more interesting ride to the hill. Its around 78 km from bangalore towards goravanahalli via dabaspete. We were on the way to madhugiri and found the temple on the hill and asked the villagers about the hill and the temple situated there. How to Reach: Bangalore - Dabaspete turn towards kortagere road -- After makenahalli near the arch take right from State Highway(SH3). Carry: Water, food from Dabaspete. 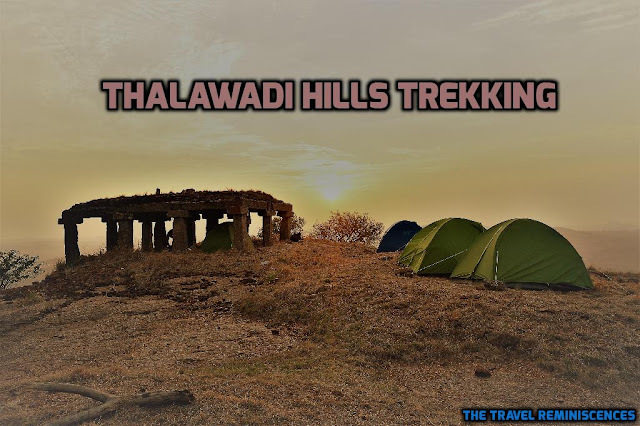 Thalawadi Betta or Thalawadi Hill a small Hilltop in thalawadi Village in Ramanagar Dist. Hilltop has a small Mantapa.The path from village to base of the hill is private property with agriculture field and mango field. The Hill is situated around 70km from Bengaluru. At the start of the trail there is a small pond and few statues of hanuman. Later part of trail has few steps the last stage is comparitively steep. Locate the Mantapa at the top of the hill. Be Aware: Bears and wild animals.